On June 11th, in Naples, The Above Board Chamber is presenting a Recruiting and Hiring symposium sponsored by Hollinger Jobs! Our knowledgeable panel of Hiring Experts will give you an understanding of the dynamics and strategies for dealing with our evolving and diverse workforce, including recruitment and training ideas for the retention of employees. So, come prepared to learn and walk away with many valuable techniques for identifying, evaluating and hiring quality employees. 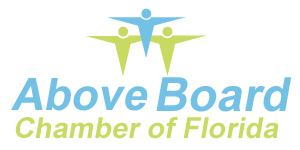 The Above Board Chamber of Florida presents Naples: Recruiting and Hiring- For Today’s Diverse Workforce! on Monday, June 11 at the Hilton Naples from 11:30 to 1:00.